Take part in the movement on April 3-4, 2018 at the Nashville Music City Center for the premier convening of national leaders in Complete Streets and creative placemaking. Building on the momentum from Street Lights, our first Complete Streets conference in November 2016, Intersections will take our implementation and equity work to the next level. How can arts and culture help us get there? 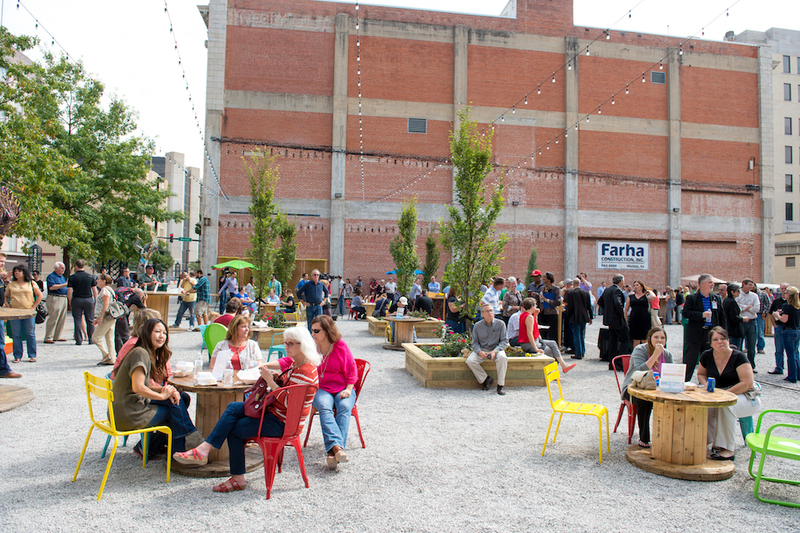 Scores of communities are finding practical ways to integrate arts and culture to create streets that not only are safe for everyone, but also better reflect the unique character of their communities. Creativity! How will your session make participants think outside the box? Primary point of contact for session planning and if the proposal is accepted will be responsible for coordinating all content, speakers, and materials for the session. We are seeking proposals for 90-minute breakout sessions, presenters have several session format options: panel, individual presentation, roundtable discussion, workshop, or a hands-on activity. Session descriptions (750 words) should describe the presentation objectives and what tools will be used to meet those objectives. If selected, session descriptions will be used to market the session on print materials and online. To answer, “How is this session related to “Intersections: Creating Culturally Complete Streets” conference themes” (500 words) please reference themes above. Lastly briefly describe what knowledge or skills participants will gain from the session (200 words). Session organizers are required to provide the contact information for all speakers physically participating in the session at the conference. If the organizer is also a speaker, please re-enter information and select role (speaker or moderator). We may adjust your session title/description. We may combine proposals to form sessions. If so, presenters will be contacted in advance. If accepted, your program may be scheduled at any time during the conference. You will be notified in advance. For any questions about the session proposal application, feel free to contact Nimotalai Azeez at [email protected]. Session proposals are no longer being accepted.